And then there were four. The top seeded teams, who earned a bye through wild card weekend, and home field advantage in the divisional playoffs, converted on that advantage and …. That was a wild finish to Wild Card Weekend with the Bears kicker hitting the upright and the crossbar on a potential game winning field goal, that keeps the Eagles …. The regular season is in the books. 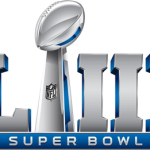 There are now just 12 teams in the NFL Playoff tournament battling it out for the 2019 Super Bowl. This week we are …. I wasn’t able to make up any ground towards finishing the season .500 last week. I had the Jets +3, so I felt pretty good about it with the Jets …. I was worried about the Cowboys in a let down spot this week in Indianapolis, but I didn’t expect them to be completely shutout by the Colts D. Luckily, the …. I was able to get closer to that goal of finishing the season at .500 with a 2-0 win thanks to the Browns win over the Panthers, and the Cowboys …. The 2018 college football season is in the books and all of the bowl games are scheduled over the holiday season. There is a wide variety of bowl games each ….